HCI: Is it a gamble or a sure-thing? 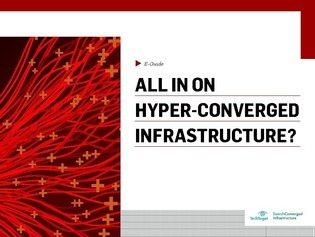 Should you go all-in on hyper-converged infrastructure (HCI) or play it more conservatively? Traditional storage infrastructures are failing to keep up with modern needs, and it is only going to get worse as we get further into the era of big data. Are there alternatives to HCI or is everyone in the same boat?